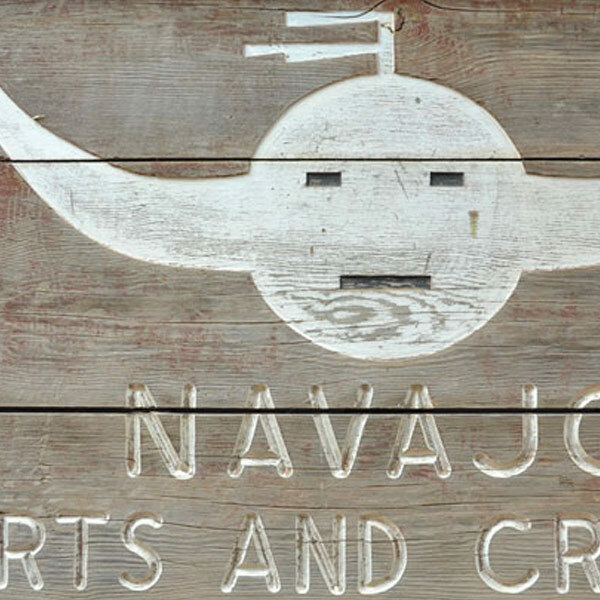 Organized in 1941 in Ft. Wingate, New Mexico, and started as a co-op in Pine Springs, Arizona, in 1942, the Navajo Arts and Crafts Guild is wholly owned by the Navajo Nation and has been creating jewelry, arts, and crafts for over 70 years. 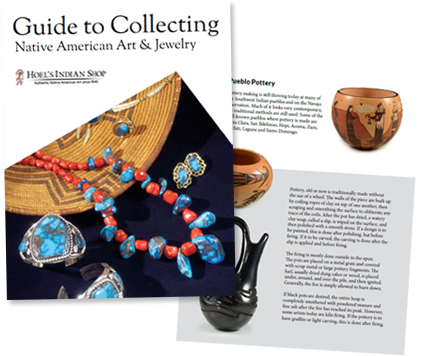 According to Bille Hougart in “Native American and Southwestern Silver Hallmarks”, “Ambrose Roanhorse, Chester Yellowhair and Fred Peshlaki helped form the Guild to provide a base from which students graduating from the silversmith classes at the Indian Schools could practice their newly acquired skills in the marketplace.” In the 1970s, the guild became the Navajo Arts and Crafts Enterprise. Today, there are guild stores across Arizona and New Mexico. The Horned Moon is the guild’s registered trademark, and since 1955 it has encouraged members to stamp their work with its hallmark.